GREAT NEWS the Crowne Plaza Hotel has just refreshed their selection of breads. We now offer fresh European style bread. 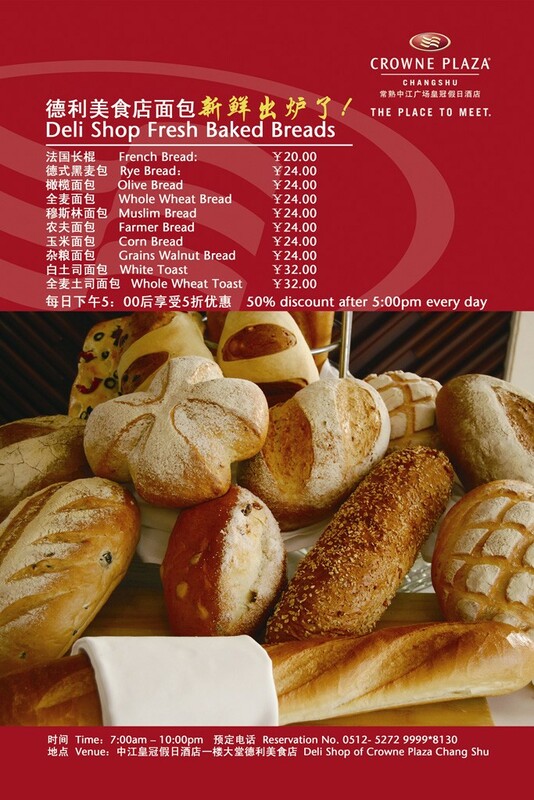 For your convenience you can order in advanced so that we can have your bread freshly baked for you. I look forward to seeing you all at the Deli at Crowne Plaza.